Q: How Does A Lubricant Reduce Friction And Wear Between Moving Solid Surfaces? A: Before answering this question, let’s look at how friction and wear occur between moving machine parts. Solid surfaces that appear smooth and polished to the naked eye are actually rough and craggy. Tiny peaks called asperities protrude out and scrape against opposing surfaces, causing friction and surface wear. One of the lubricant’s primary jobs is to prevent wear between surfaces. To perform this job, different formulations are developed based on specific applications and the “lubrication regimes” (discussed below) associated with them. Boundary lubrication typically occurs in applications with slow movement and/or high loads such as conveyor chains or gear boxes. In this regime, opposing surfaces that previously were in full contact with each other at rest are now starting to move. To prevent wear within this regime, lubricants are specifically formulated to form a low-friction, protective layer on the wear surface. The additives within the lubricant are vitally important, as they are the main medium of wear protection. The base oil of the lubricant acts as a carrier to effectively deposit the additives where they are needed. As the additives make contact with the metal, they bond to the surface to form a sacrificial layer that prevents wear to the metal itself. In this lubrication regime, a proper viscosity is important to ensure the oil can flow into tight spaces to lubricate the required componentry. The additive chemistry used within the lubricant is determined by the loads seen in the application. Hydrodynamic lubrication involves the separation of two contacting surfaces using hydraulic forces. 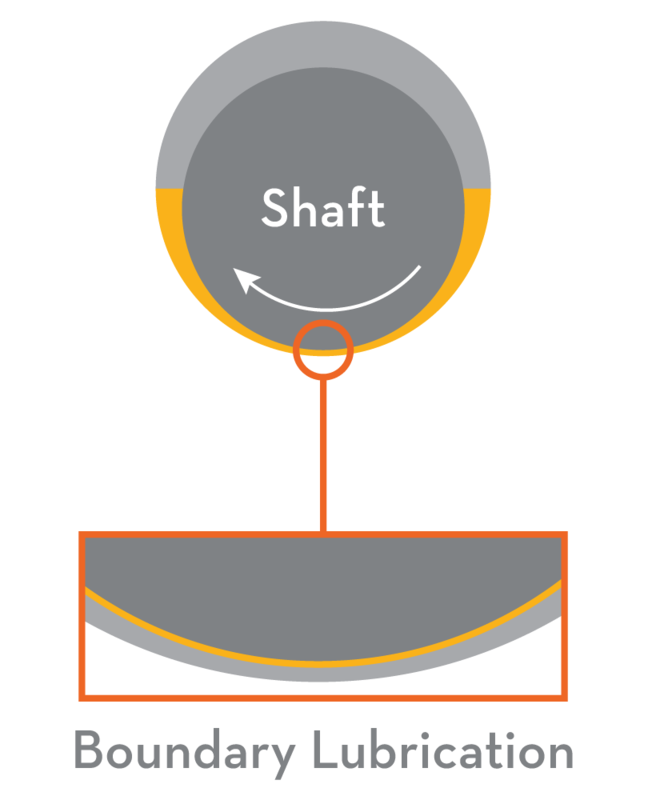 This typically occurs in rotating equipment, inside the journal bearings that support rotating shafts. 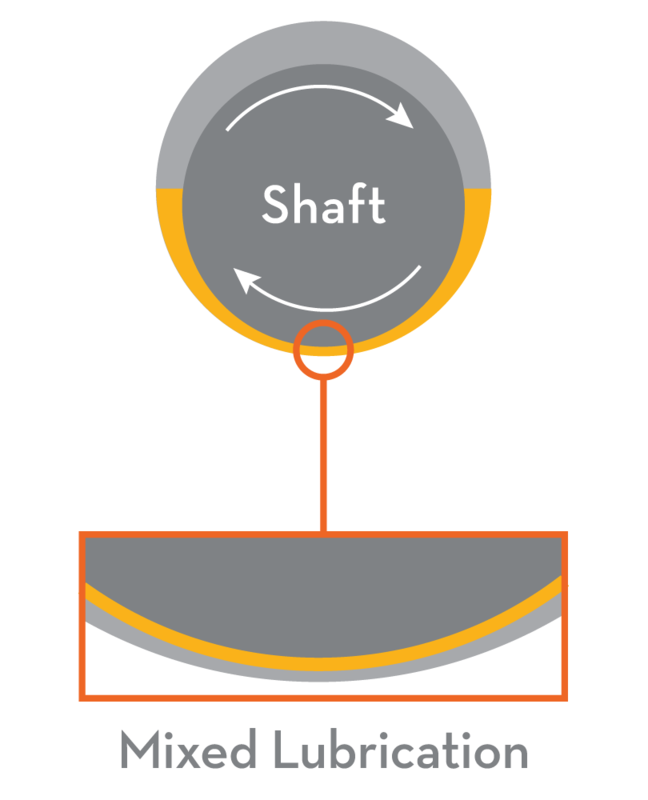 As a shaft rotates within a journal bearing, it also carries lubricant. 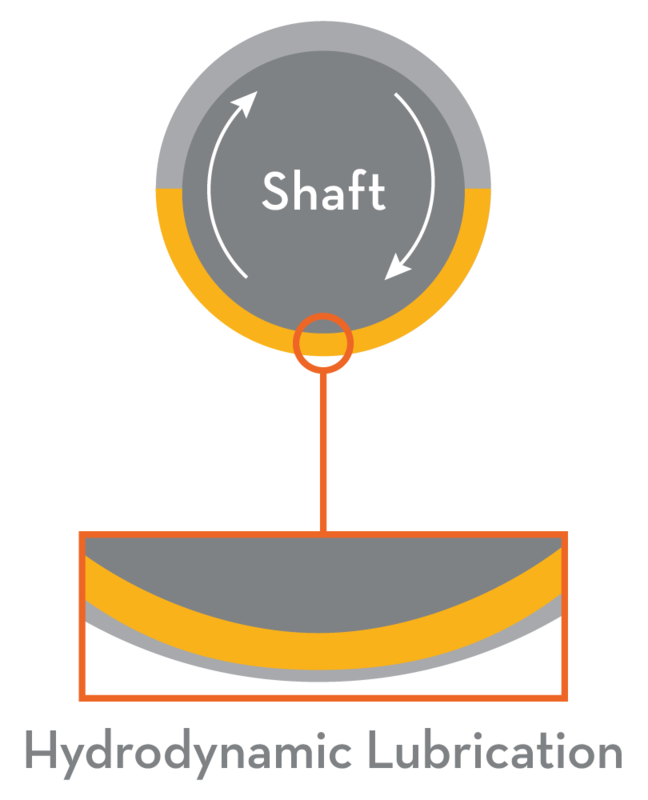 As the rotational speed of the shaft increases, the rate at which oil is carried around the shaft increases. When the correct lubricant is used, this pumping action will create what is termed an “oil wedge” beneath the shaft. This oil wedge creates complete separation of the two surfaces, preventing any contact — and, thus, preventing friction and wear — between them. A proper viscosity is critical for effective oil-wedge development, efficient operation and long bearing life. Mixed lubrication is a transitional regime situated between boundary and hydrodynamic lubrication, sharing characteristics of both. Typically, mixed lubrication can occur during the startup of rotational equipment, as the shafts gain rotational speed from a full stop. It also can occur between surfaces where low loads and high speeds are encountered, such as when reciprocating pistons slide against piston walls. With this transitional regime, wear protection depends on both the lubricant viscosity as well as the additives within the formulation. To control friction and wear, it is vital to select the right lubricant for the application, lubrication regime and operating conditions such as speeds, loads, pressures and temperatures. An inappropriate lubricant may result in significant friction, wear and even equipment failure. Meanwhile, a proper choice of lubricant can lead to reduced oil consumption, increased process efficiency and extended equipment life. Choosing the right lubricant for any particular application can be a challenge. But Isel makes it easy. 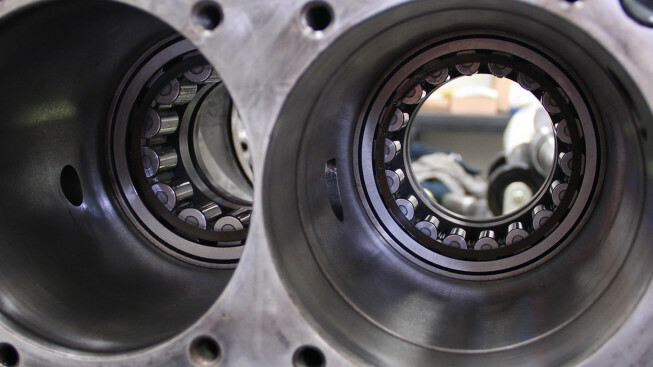 Our experience in lubrication technology and our keen understanding of the systems in which lubricants are used have allowed us to develop industry-leading lubrication solutions for virtually any application and set of operating conditions. Our experts can help you select an ideal solution for your system. To learn more, contact us today.